Rosemary (Latin name ‘Rosmarinus’), which implies ‘sea dew’, is often referred to as the ‘wonder herb’, and that is not without a reason. While ancient Greeks believed that it boosted memory, ancient studies also link the herb as having properties similar to drugs licensed to treat dementia, as it helps increase a neurotransmitter called ‘acetylecholine’. Research conducted at the University of California, San Diego School of Medicine, said that studies conducted on people in the age group 60 to 90 years or older, have shown that people who use this herb regularly have had virtually no cataracts, hardly any bone fractures, excellent heart health and low rates of Alzheimer’s disease. The older residents who use the herb have exceptionally good microcirculation, implying their small capillaries are not constricted even at this age, and their heart health is as good as a teenager. What makes Rosemary a ‘wonder herb’? Let us take a peek into the miraculous benefits and healing properties of this herb. Rosemary is a native of Southern Europe, and grows wild on dry rocky hills. In India, it is found in the Himalayas and Nilgiri hills that have dry to moist climate. 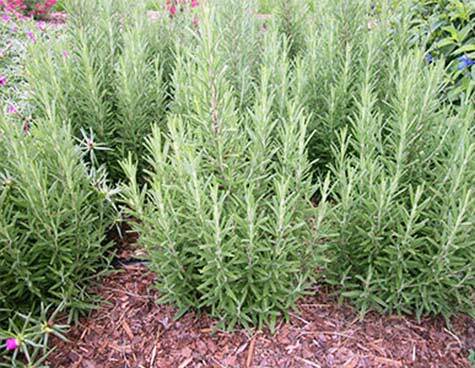 Rosemary has long been considered as the herb for remembrance. It symbolizes loyalty, love and immortality, as it was believed to strengthen the heart and memory. It is considered an antidote to mental fatigue and forgetfulness. A tea made of the herb is a good natural remedy for improving mental agility. It is even said that when crushed rosemary leaves are inhaled with closed eyes, the mind becomes clear as the vapour courses through the brain cells. Rosemary plant is useful in cases of atonic dyspepsia, related to indigestion and stiffness in the stomach. It particularly helps in digestion of starchy food, lima beans and rich meats. It is also used to relieve flatulence. Rosemary oil induces copious perspiration, and hence, is beneficial when mixed with hot water and taken as a drink during cold and chills. The emulsion is also used as a gargle to cure sore throat. The oil shows antibacterial activity. Rosemary oil is used for vapour baths when treating rheumatism. A few drops of Rosemary oil are taken internally as a heart stimulant. A tincture prepared by mixing rosemary in alcohol is used as a circulatory and cardiac stimulant. Rosemary essential oil is not only known to boost brain power, but is also recognized for instilling positive feelings. Its stimulating and anti-depressant properties checks stress related disorders, nervous exhaustion, depression, fatigue and anxiety. It can be added to warm bathing water as a classic relaxant, as it treats physical weariness and a lethargic attitude and helps in handling mood fluctuations. Shampoos and hair lotions containing the pure extract of rosemary rejuvenate the scalp and hair, prevents dandruff and premature baldness. A lotion can be prepared from rosemary leaves by simmering them in water for 30 minutes, straining and cooling, and they can be used as final hair rinse. Fresh tender tops of Rosemary are used for garnishing and flavouring cold drinks, soups, pickles and other foods, while leaves are used as a condiment. Rosemary can be dried and powdered and added to cooked food for garnishing and as a preservative for certain food items. Rosemary has been relished as a natural flavouring agent in Mediterranean cuisines too. Ayurveda makes use of Rosemary essential oil for improving memory, Halitosis, headaches, stomach upset, insect bites, skin problems like eczema and skin infections. Ayurveda also uses Rosemary essential oil for aromatherapy treatments. When used as an essential oil, Rosemary is excellent tonic for skin and hair, augments memory, fights depression, fear and fatigue, and on the whole, is a ‘must-have’ essential oil in the medicine cabinet. Rosemary essential oil can heal several illnesses including dental problems, respiratory disorders, inflammation and pain, urinary problems, gastrointestinal troubles and weak immune system. Now, any wonder why Rosemary is called the ‘wonder herb’?